The students at Pennsylvania Art & Design are a focused group, dedicating hours to perfecting their work. However, like college students everywhere, camaraderie and fun are equally important! Taking advantage of a learning environment and support system in a community of professional artists who focus on real world experience, the student life at PCA&D thrive in a culture of working hard and creativity. Our students get involved in a number of professional organizations and student council programs, as well as campus and city-wide activities to round out their social experiences. At PCA&D, students quickly learn that they are part of a family, a family that not only enjoys working, but playing together as well. The highlight of the year is the annual Halloween Party. Equally fun are the ice cream socials, popcorn days, Thanksgiving dinner, Lasagna Lunch and the Softball Smackdown, between the “PCA&D Peacocks” students and faculty at the year-end school picnic. These events, attended by nearly all faculty, staff and students, give the students an opportunity to relax and get to know each other. Social clubs at PCA&D focus on the student's interests. Student Council and the many student clubs offer regular activities for student life such as movie nights, theatrical opportunities, and the popular annual Gender Bender Ball. PCA&D’s Animee Club has drawn participants for nearly a decade and will be celebrating its 10-year anniversary next year. PCAD Want To Rock, Art, League of PCAD, Gamerz and more provide social opportunities. Tom’s Tribe and PCAD Allies offer social awareness opportunities and Yoga & Group Meditation offers relaxation. Artist Challenge and Video Art Club allow students to collaborate on art projects. 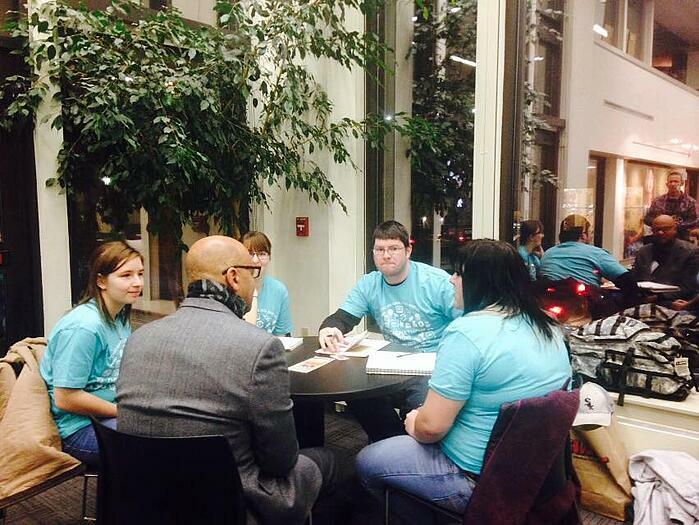 Society of Illustrators Student Chapter is another student professional organizations where students can get involved. This group 24-Hour Comics Day, an event held around the world, which challenges writers and artists to create a full 24-page comic in 24 consecutive hours. Frequent animee movie nights, sketchbook nights, and art challenges are sponsored by these professional organizations. Adding to the opportunities offered to PCA&D students are trips to Philadelphia and New York City to visit studios of working artists and experience first-hand the lives of working artists in sustainable careers. 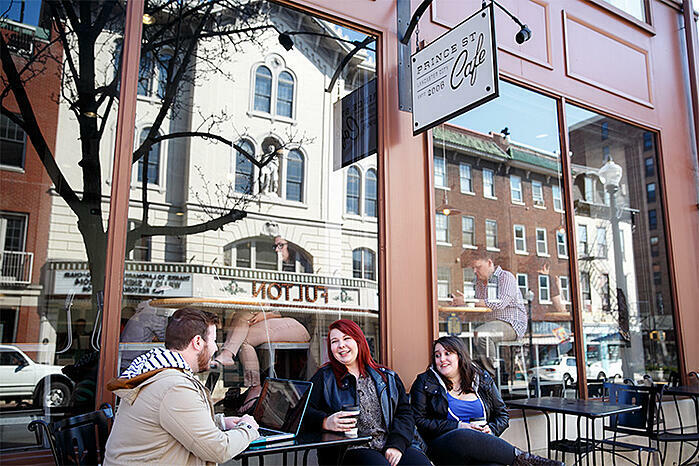 Lancaster City is truly PCA&D’s campus, with unparalleled opportunities for student artists. At PCA&D, students live and study among Lancaster City’s exciting arts district, which bustles with galleries and studios, quirky shops and vintage clothing stores, innovative and affordable restaurants and cafés, historic architecture, and music venues—all surrounded by some of the most beautiful countryside in the world. PCA&D’s housing referral service matches roommates and assists in finding good, affordable housing within a five-block walk to the college. And housing at PCA&D’s new Steinman Lofts offers freshman an opportunity to connect and grow with their classmates. Learn more about Living in Lancaster by reading an previous blog post http://engage.pcad.edu/blog/life-at-pcad-fun-things-to-do-in-lancaster-pa. Interested in becoming a part of the student life at PCA&D? Visit our Open House on June 26 to learn how PCA&D education in the arts hones your creativity, challenges your intellect and provides you with real-world experiences that equip you for a successful career in the arts.